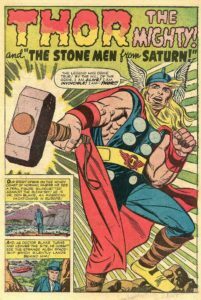 Posted May 30, 2017 in Doug Hazlewood, Thor. 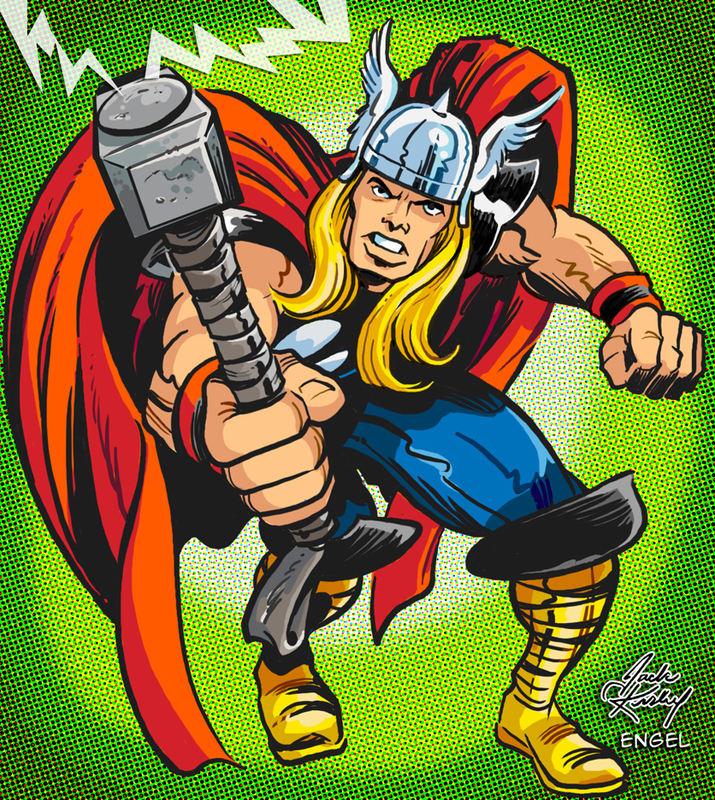 Posted August 10, 2015 in Jim Engel, Thor. 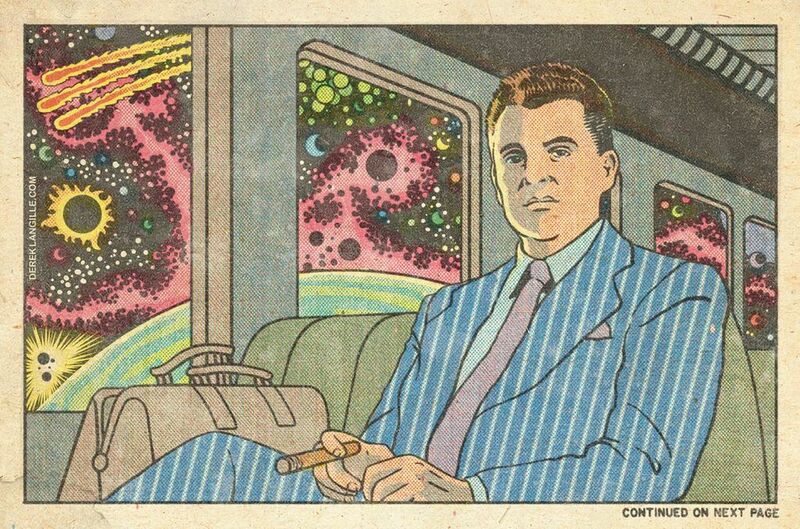 The Mighty Thor – inks & colors over original Kirby pencils, courtesy of Jim Engel. 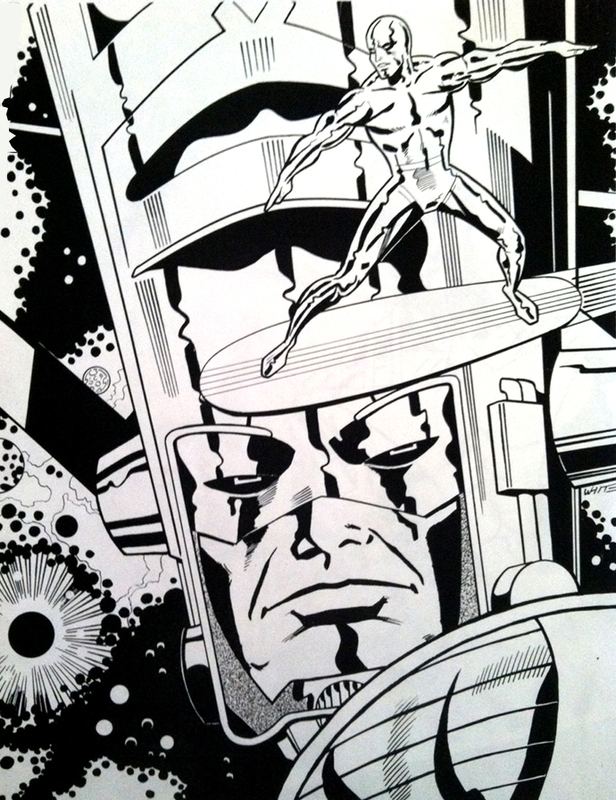 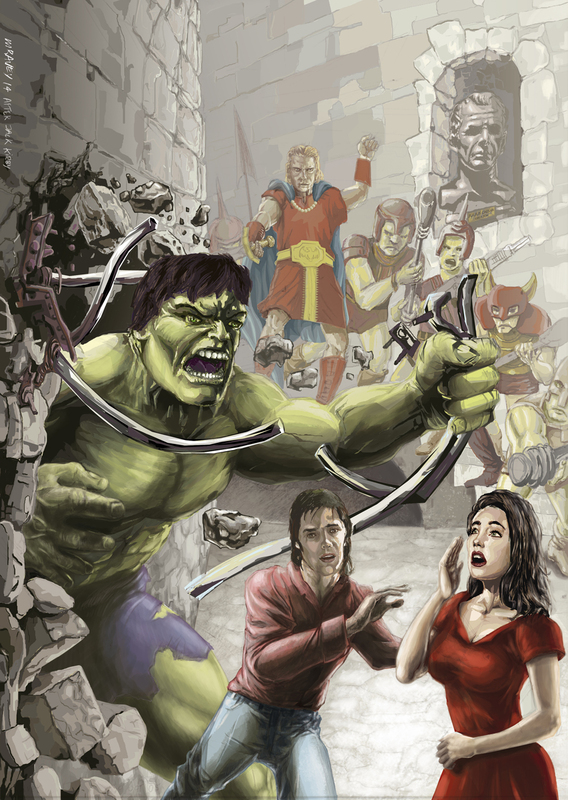 Posted March 30, 2015 in Galactus, Gilbert Leiker, Silver Surfer, The Demon, Thor. 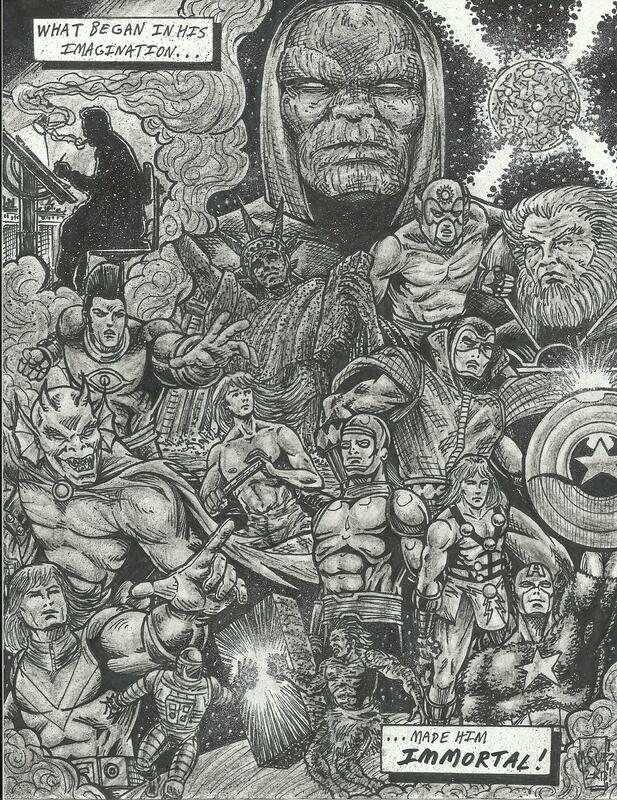 Ballpoint pen drawings courtesy of Nevada based artist, Gilbert Leiker. 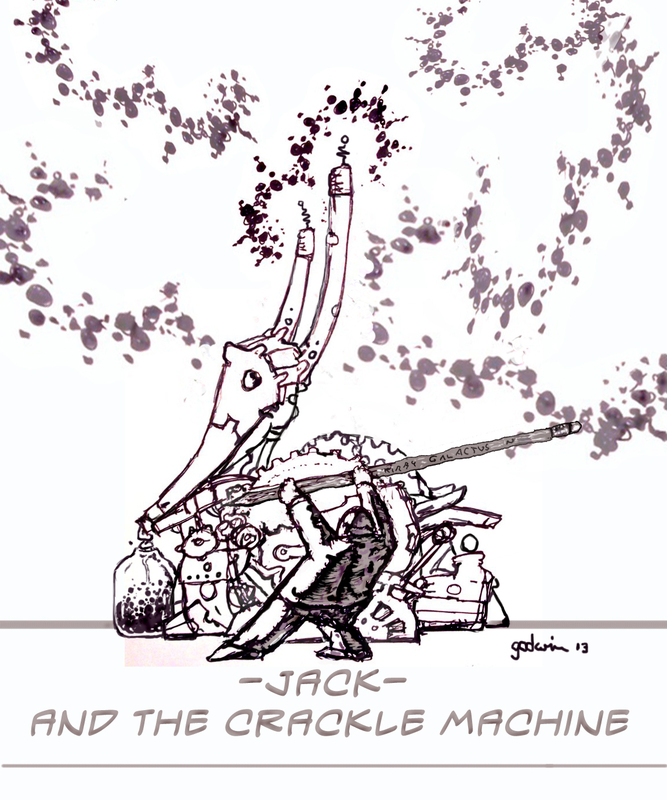 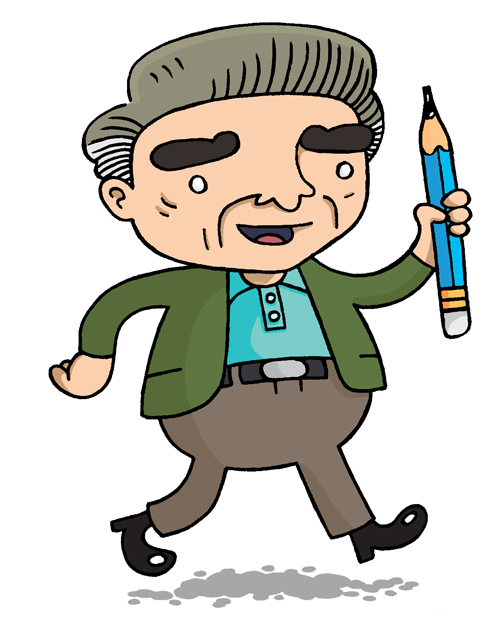 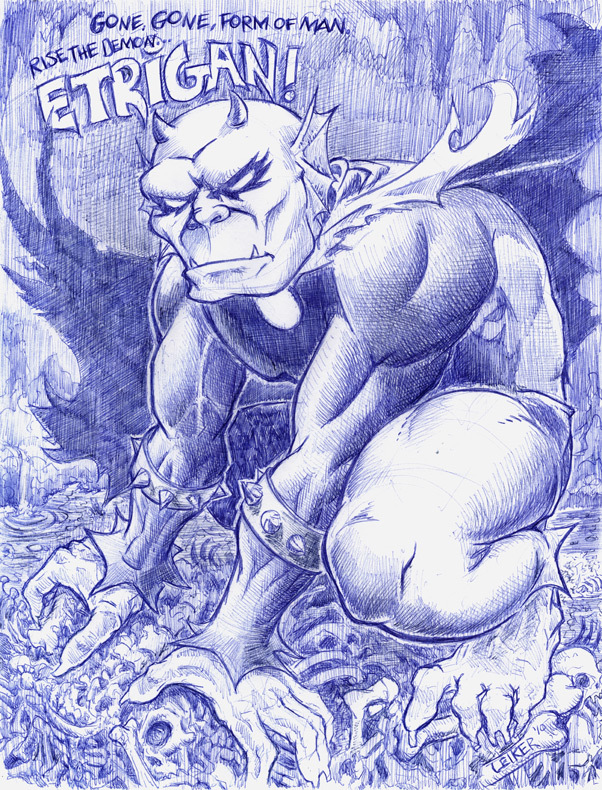 You can find more of Gilbert’s work at his blog and DeviantArt page. 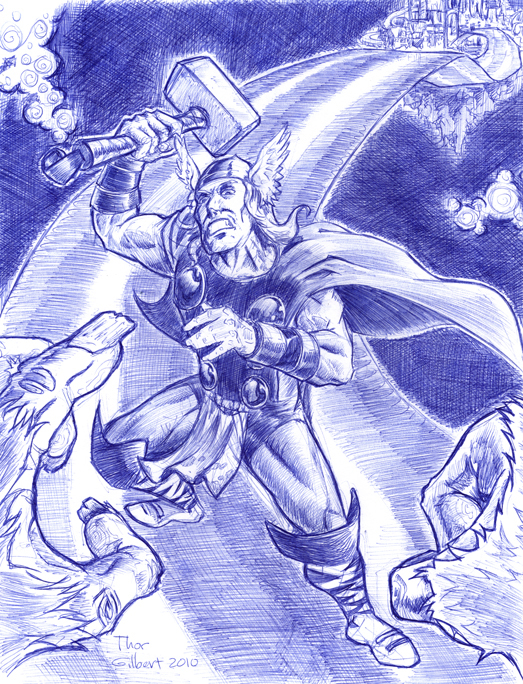 Posted March 9, 2015 in Rick Baiker, Thor. 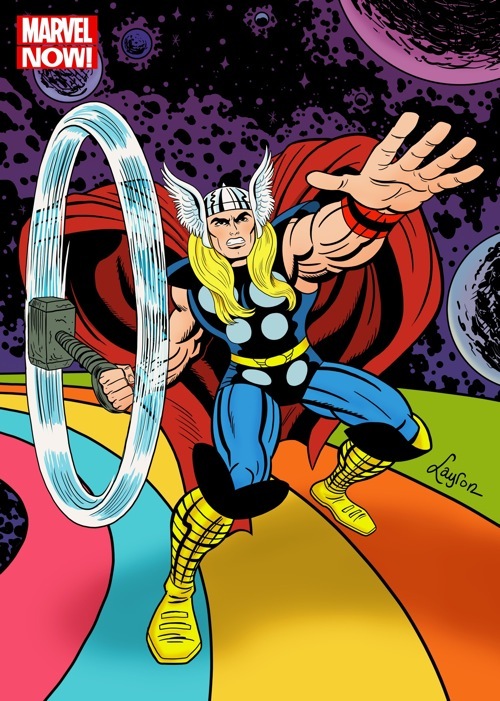 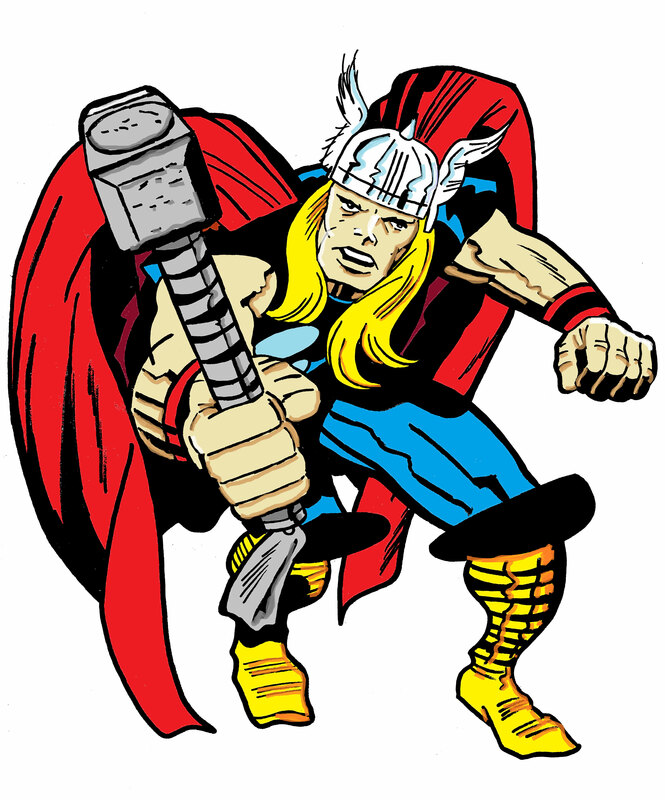 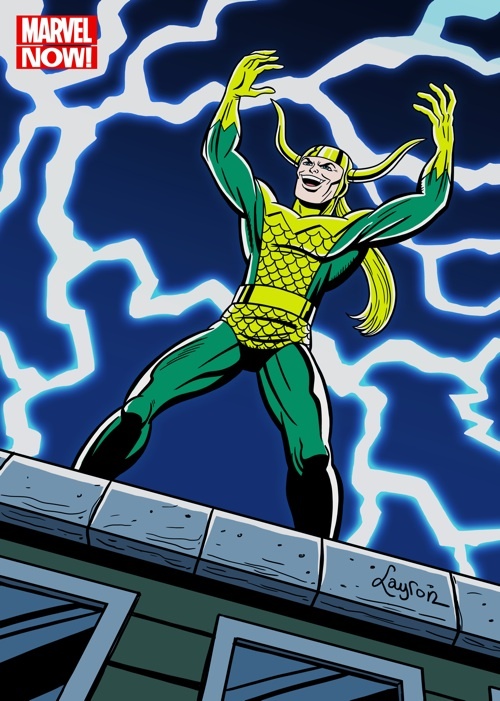 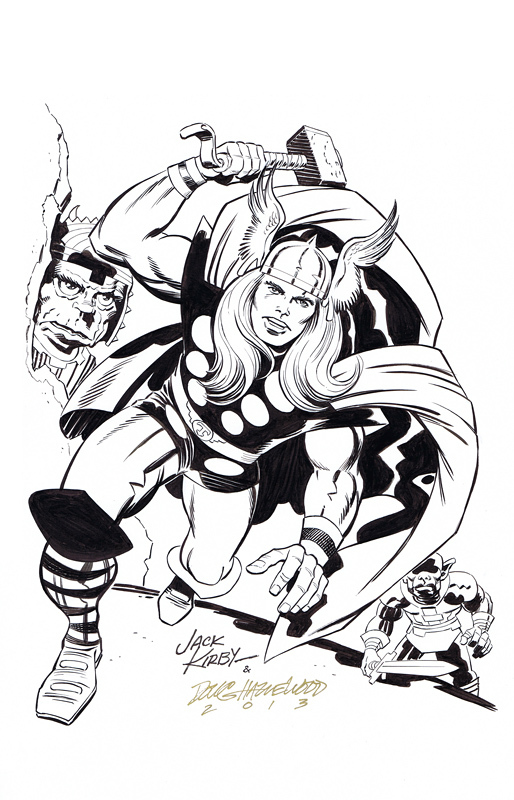 Rick Baiker inks and digitally colours Thor from original Kirby pencils. 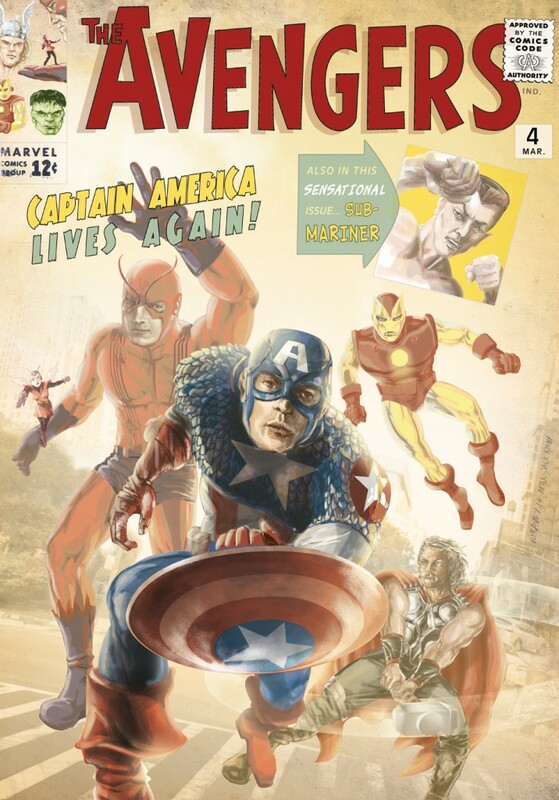 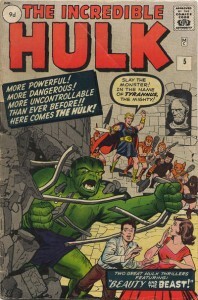 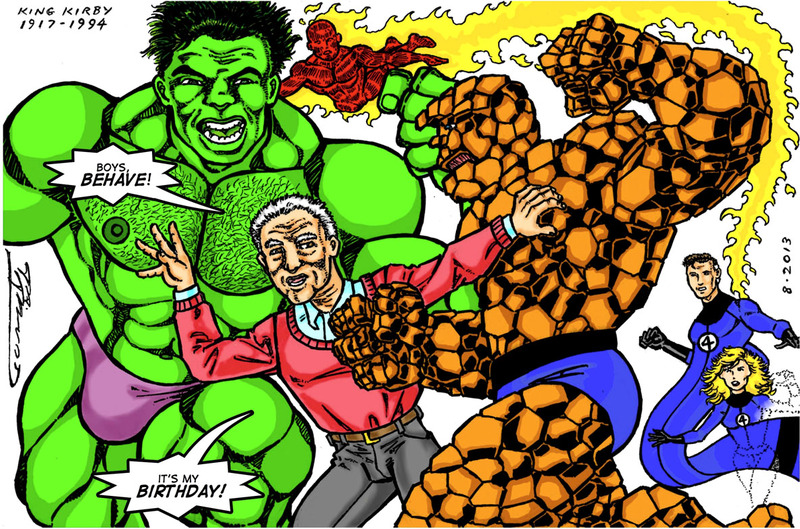 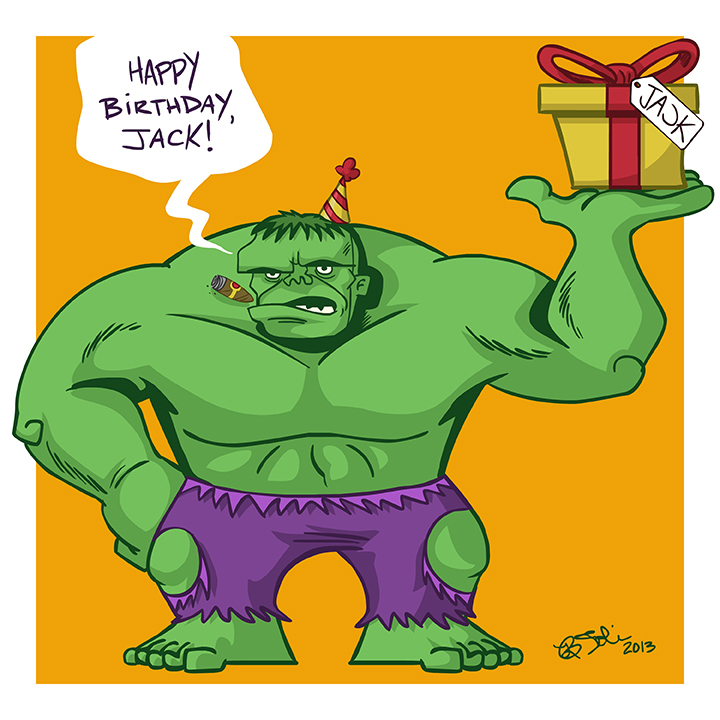 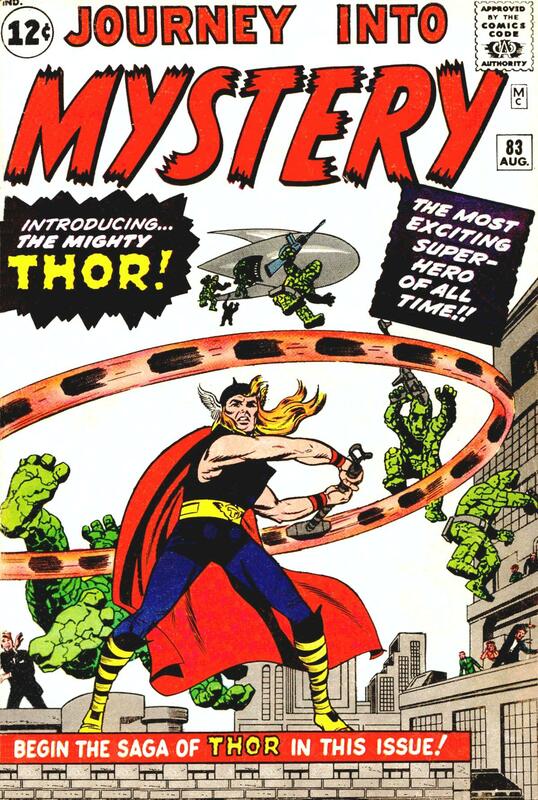 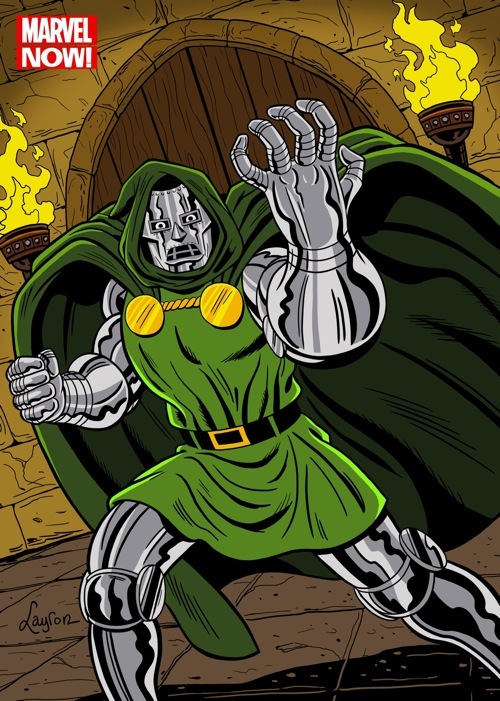 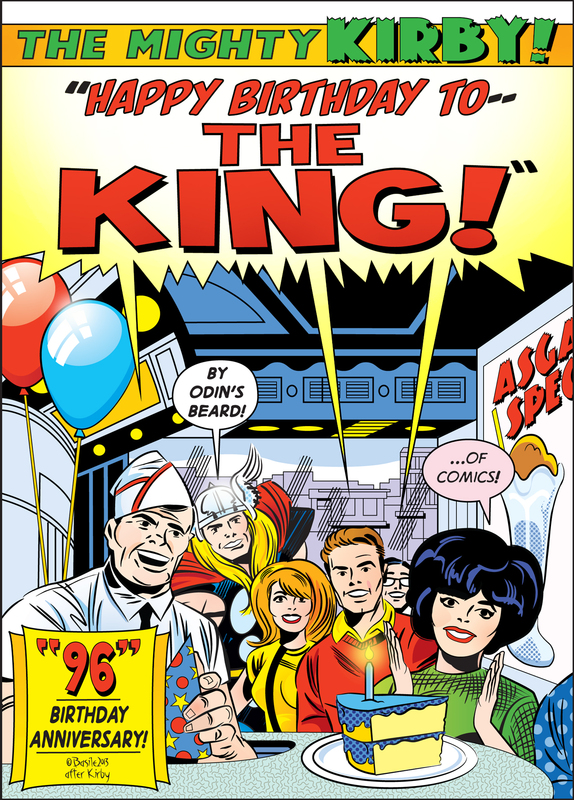 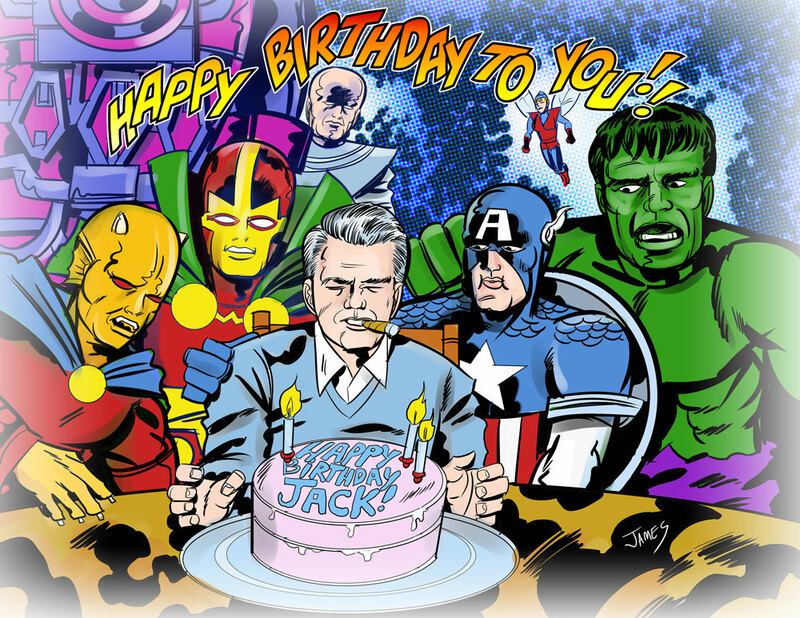 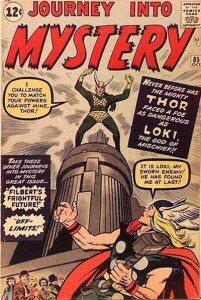 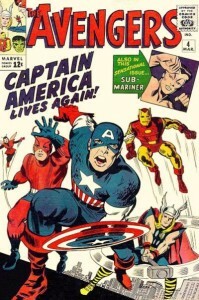 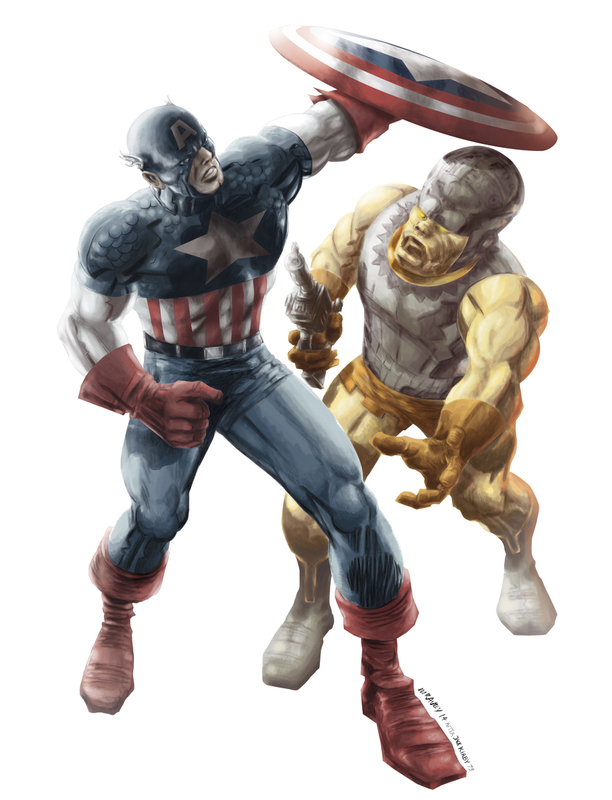 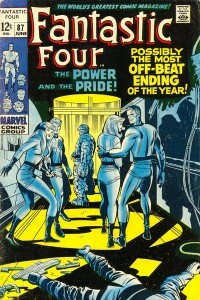 Posted September 29, 2014 in Fantastic Four, Jack Kirby, Journey Into Mystery, Michel Ravey, The Avengers, The Hulk, Thor. 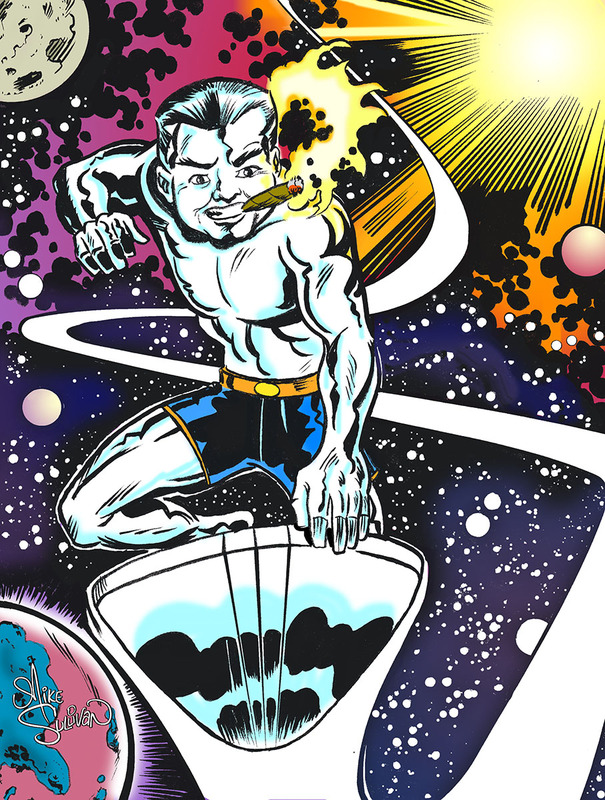 A host of Kirby recreations courtesy of French web designer Michel Ravey. 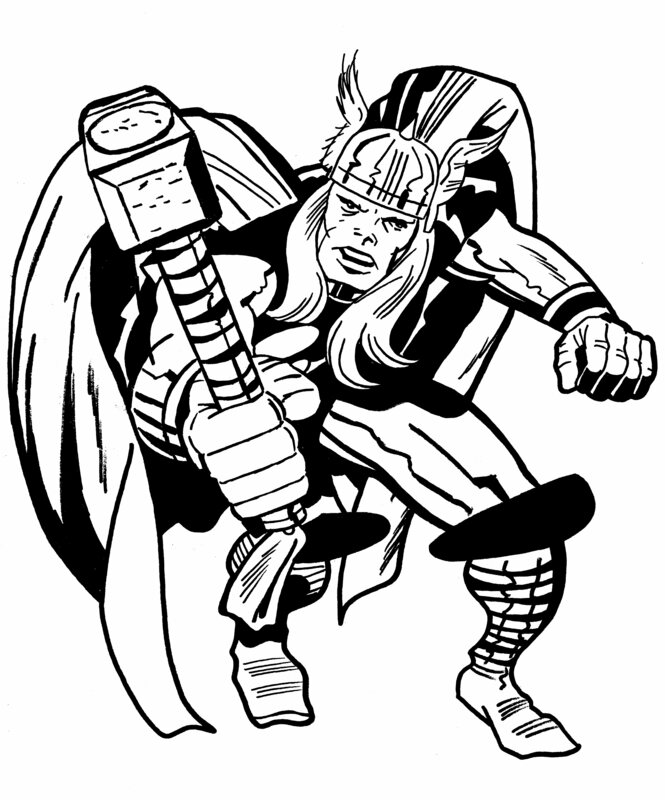 Posted December 5, 2013 in Doug Hazlewood, Thor. 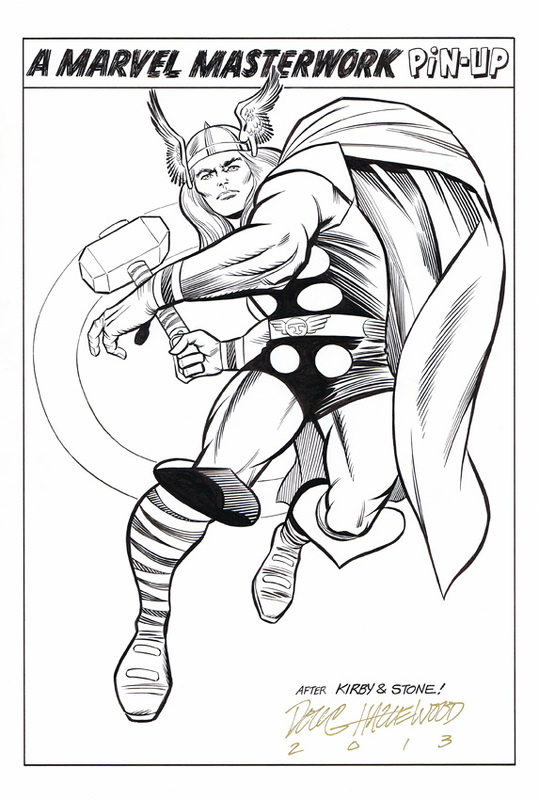 Our final post this week from Doug Hazlewood. 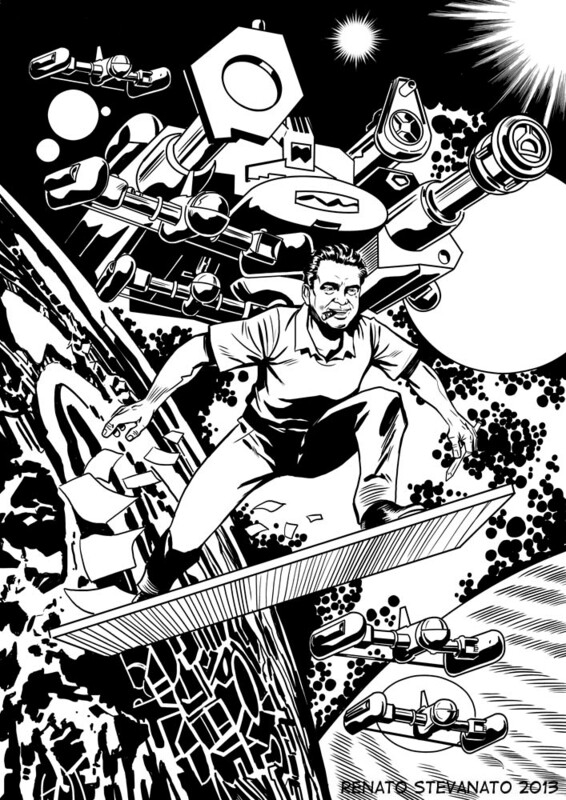 Many thanks to Doug for all of the fabulous work we have featured this week. 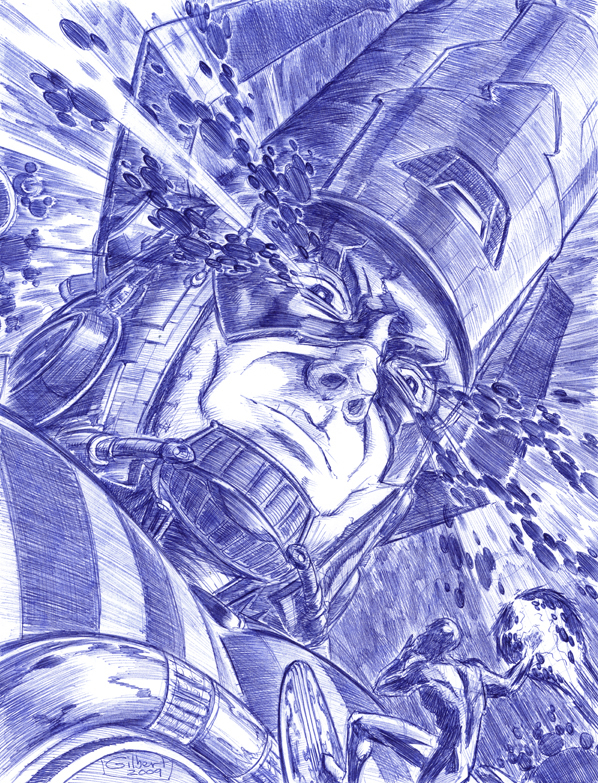 If you would like to see more then checkout Doug’s website and DeviantArt page. 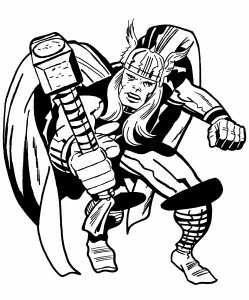 Posted December 3, 2013 in Doug Hazlewood, Thor. 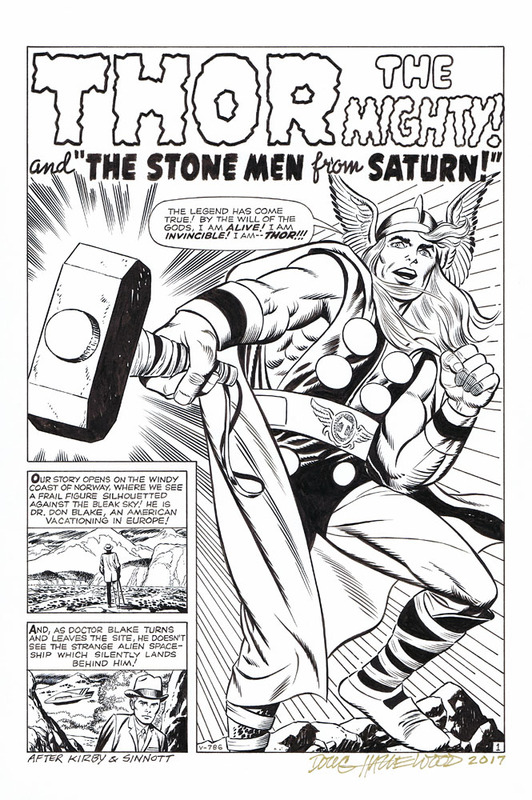 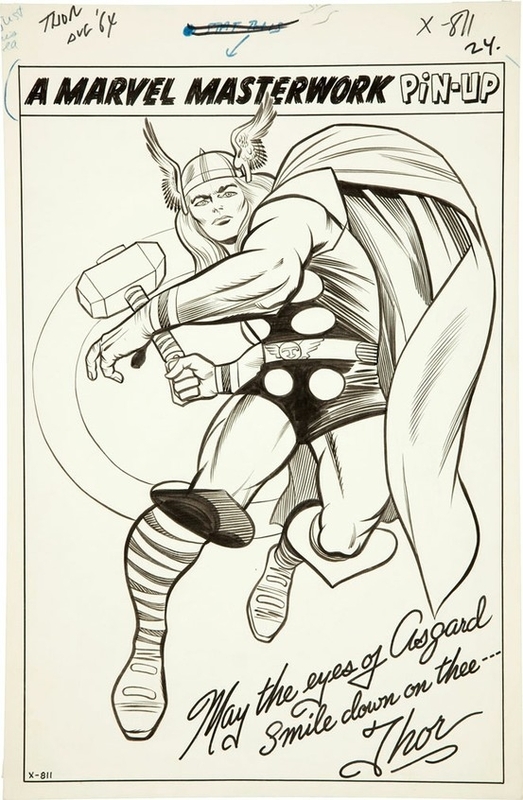 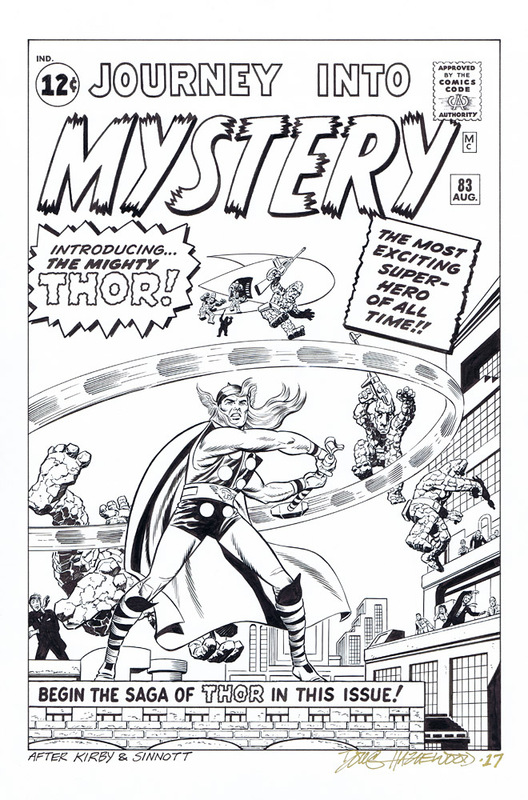 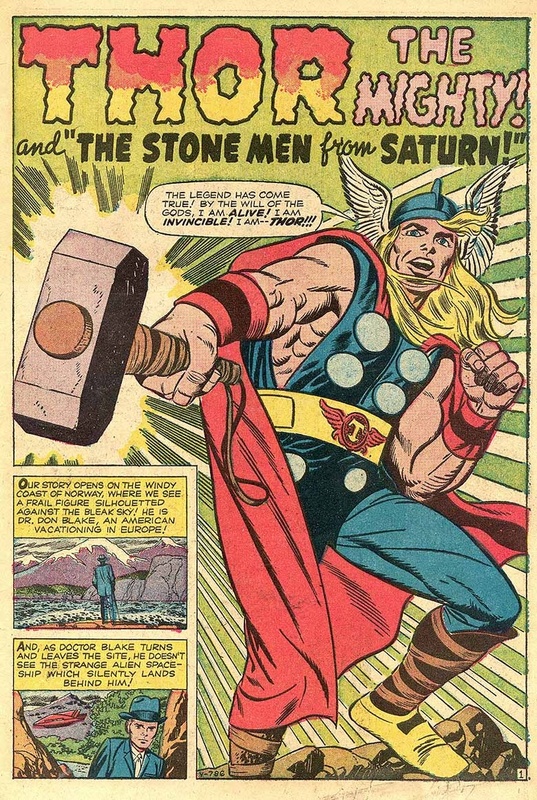 Doug Hazelwood inks the Mighty God of Thunder from original Kirby pencils. 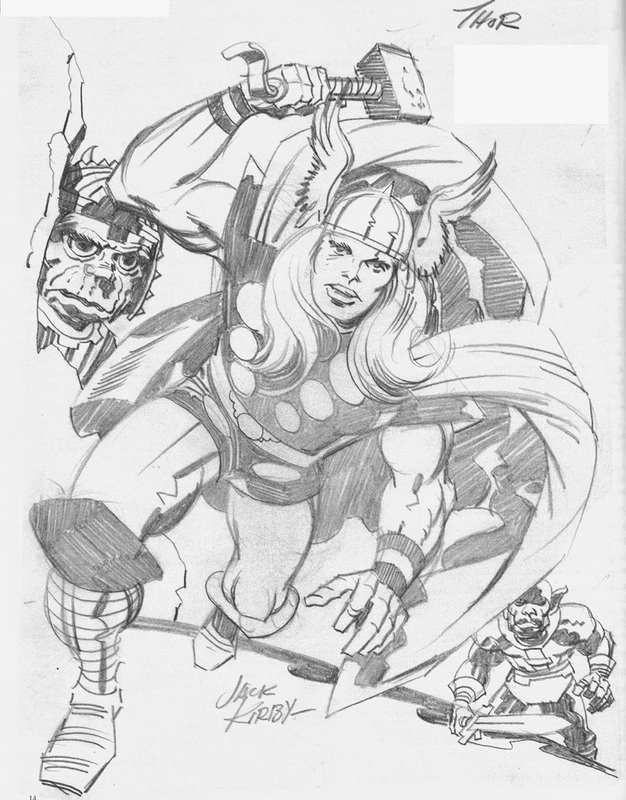 Posted September 2, 2013 in Darkseid, Thor, Tom Kelly. 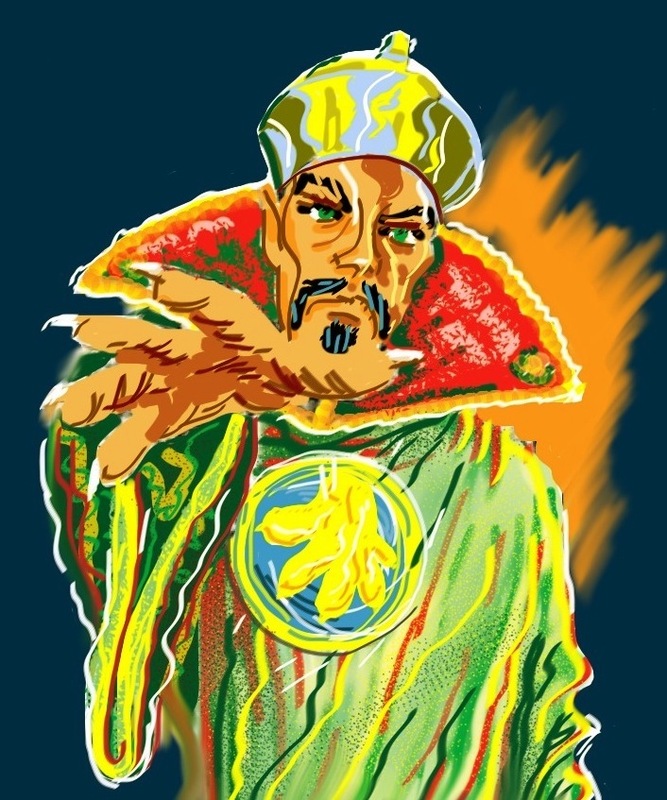 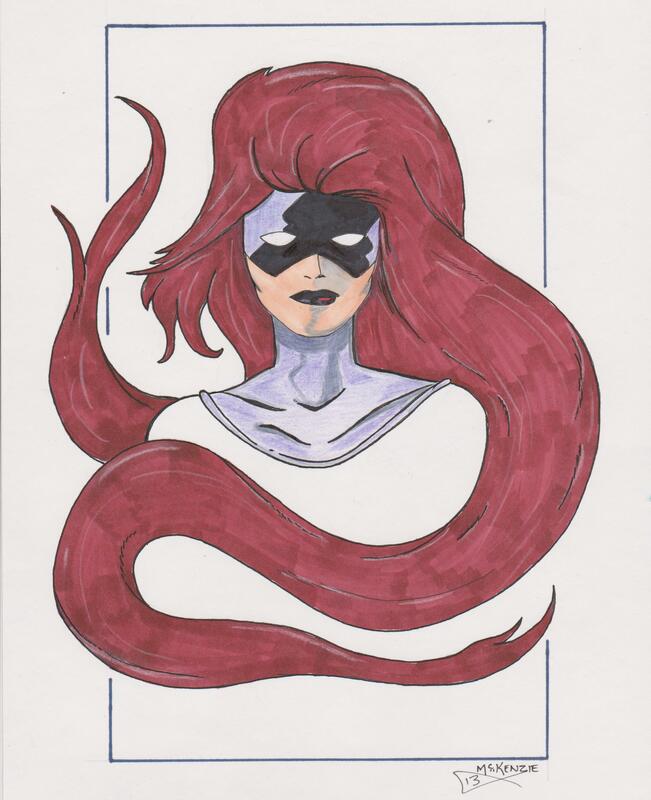 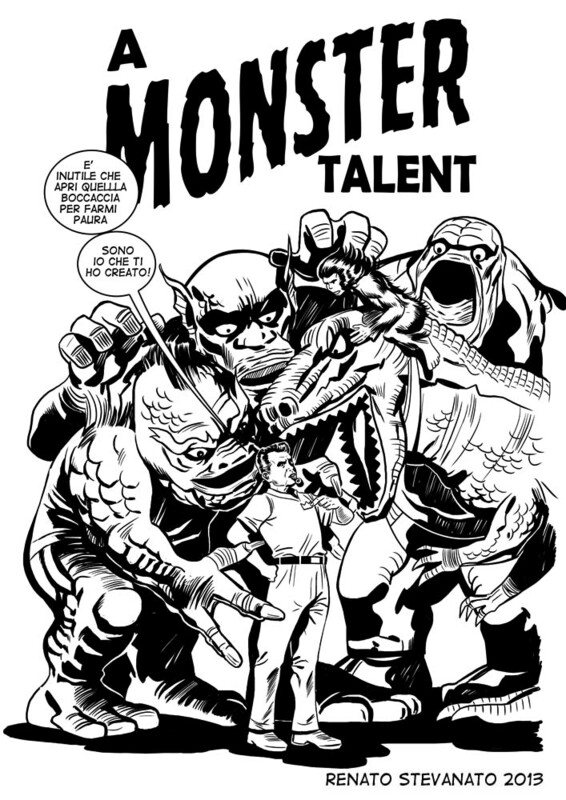 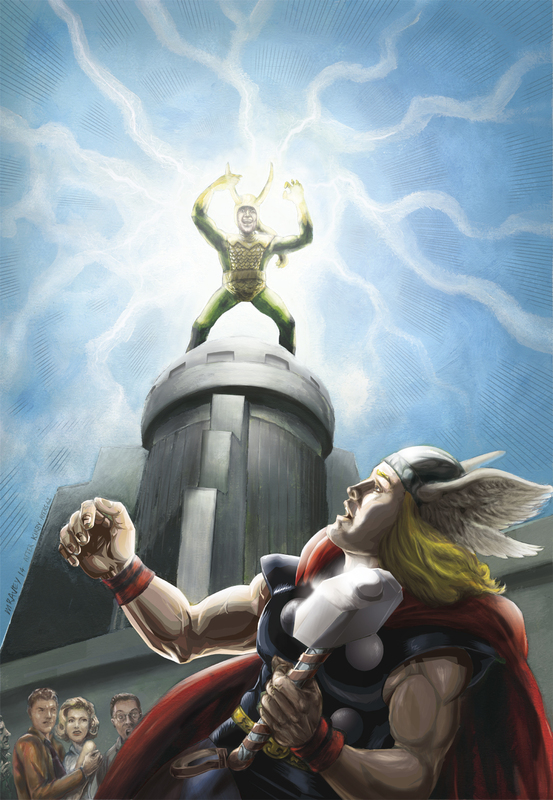 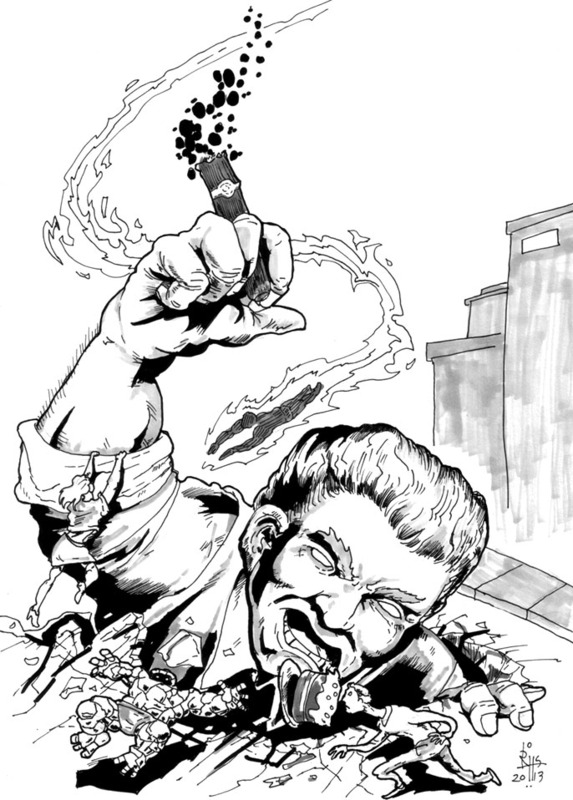 Tom Kelly shares his contribution to Hero Initiative‘s recent “Wake Up and Draw” event. 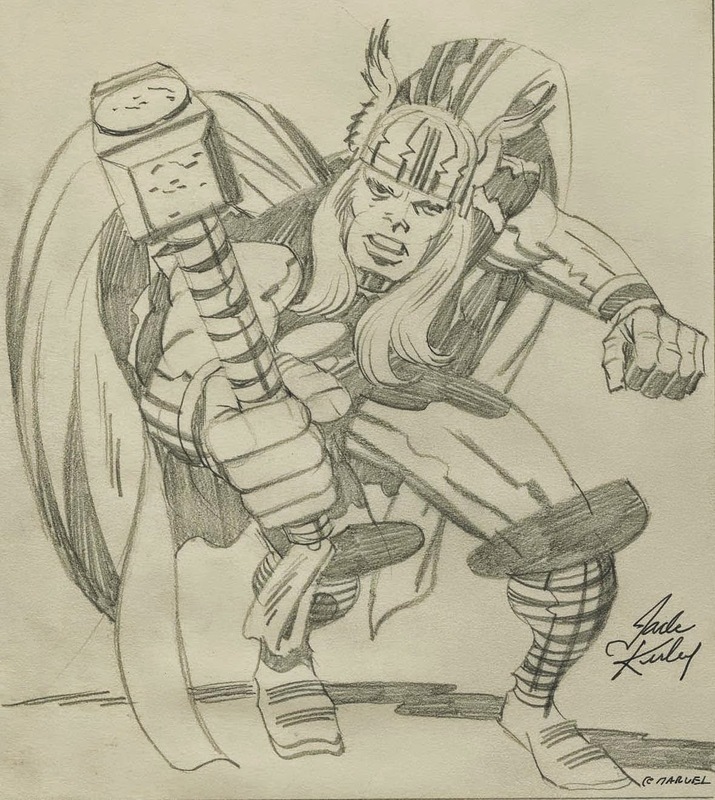 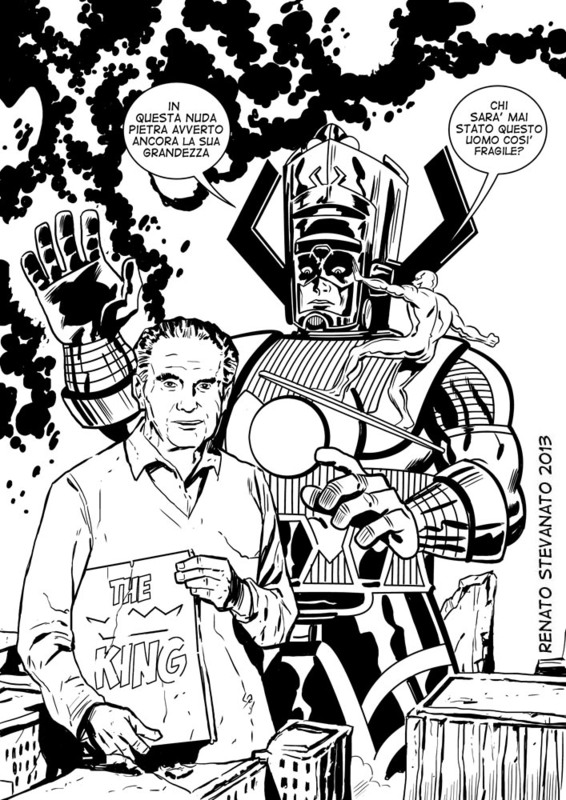 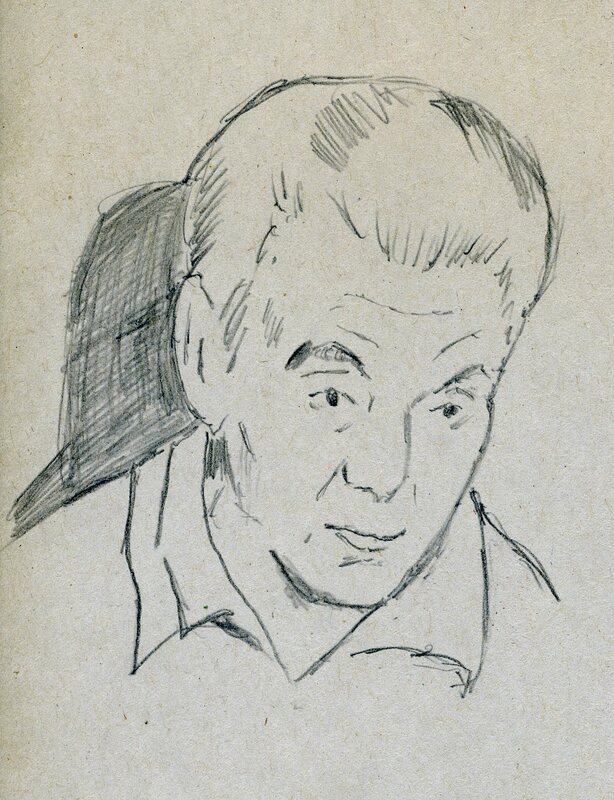 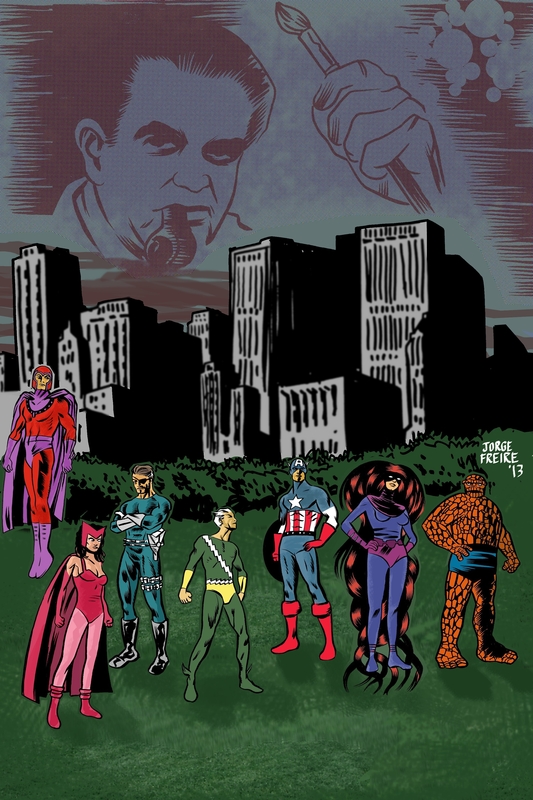 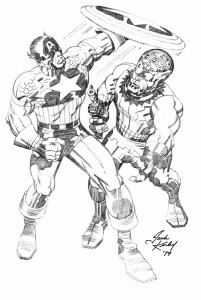 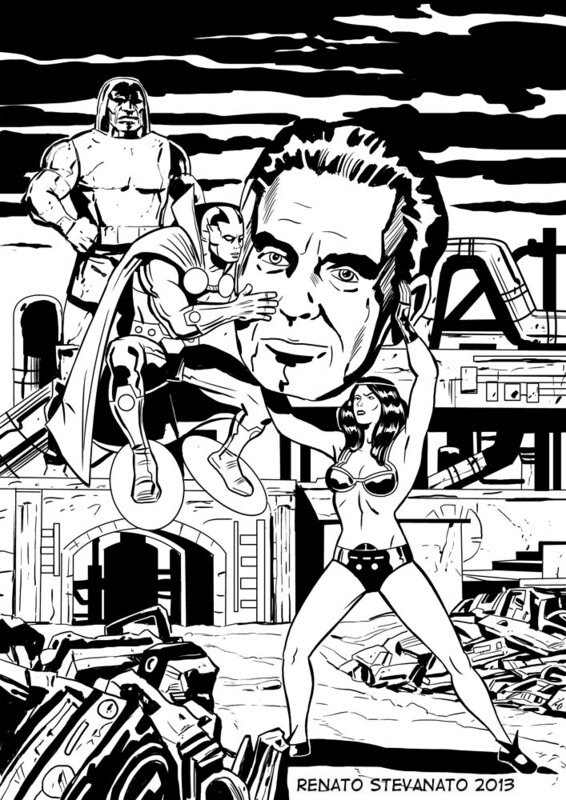 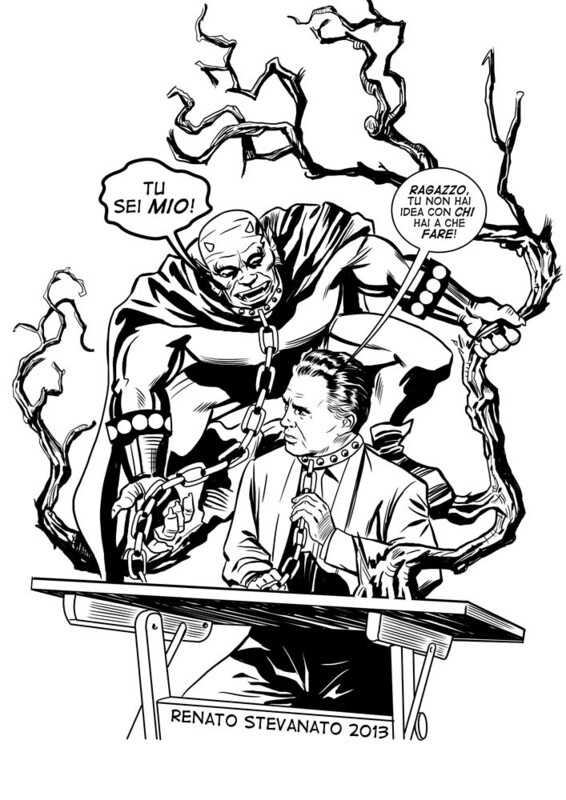 On August 28th, 40 plus artists marked the occasion of Jack Kirby’s 96th birthday with morning warm up sketches. 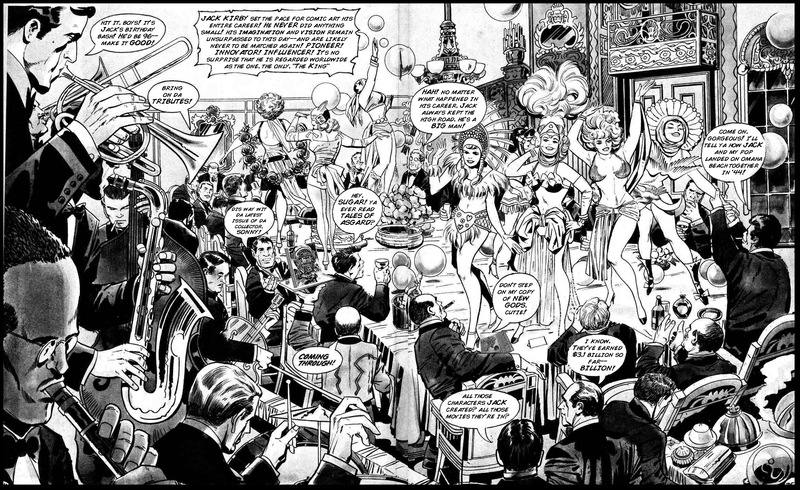 These one-off pieces are to be auctioned later in the year and have been collected in a special gallery at ComicArtFans. 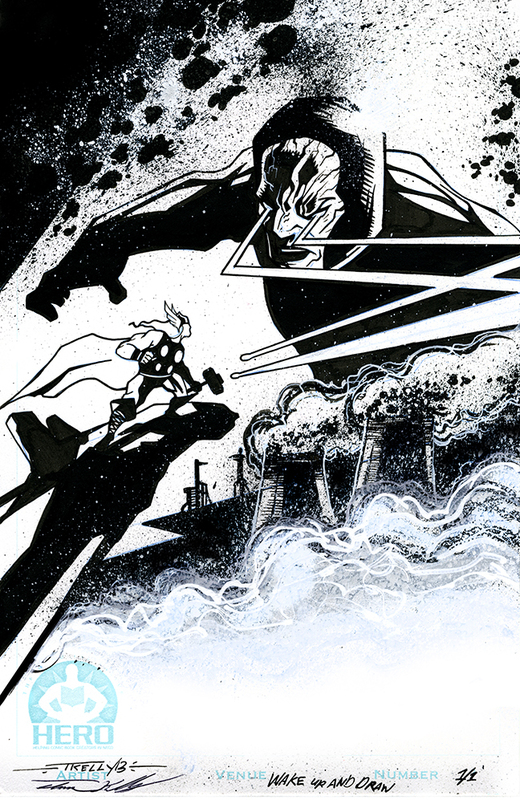 Tom’s Thor vs. Darkseid piece was created on “6×10 Bristol Board using tech pens, black marker, brush and ink, plus a tooth-brush for the spatter effect”.